In his ninth and final novel, cultural observer, novelist, and poet Herman Melville gives us a picture of everything wrong with America in the decade preceding the Civil War.Evoking Chaucer's Canterbury Tales, this is a story of interlocking tales from a group of steamboat passengers traveling down the Mississippi toward New Orleans. Aboard the Fidéle can be found all manner of con man, from those selling stock in failing companies and herbal cure-all "medicines" to those who are raising money for a supposed charitable organization and those who simply ask for money outright. One man sneaks aboard ship to test the so-called confidence of the passengers, and everyone is forced to confront that in which he places his trust before journey's end. 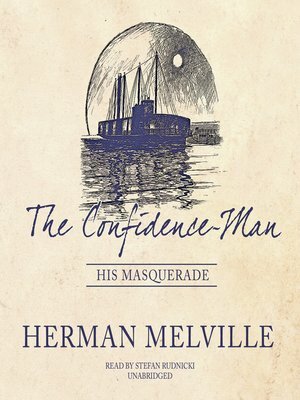 Mixing his trademark satirical style with allegory and metaphysical treatise, Melville's The Confidence Man is a precursor to the twentieth-century literary preoccupations with nihilism, existentialism, and absurdism.